This is just tremendous. 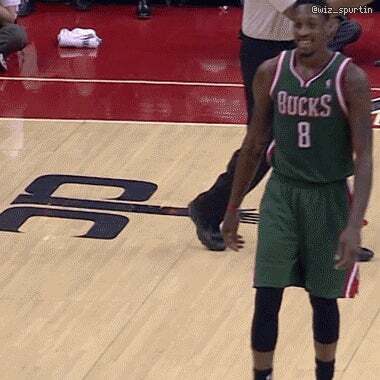 Sanders was ejected from the Bucks game against the Wizards after picking up two technical fouls. Before leaving the court, however, Larry handed out a trio of thumbs ups to the officials calling the game. Sanders finished the game 29 minutes, 17 points and 11 rebounds. A double-double and a triple thumbs up. That'll do.